Wicker outdoor furniture is a comfortable alternative for customers who don’t want wood or cast iron patio furniture. Wicker comes in a variety of colors and styles to fit any outdoor space. Made of synthetic materials and fade-resistant finishes, wicker collections are easy to maintain and hold up well against the elements. 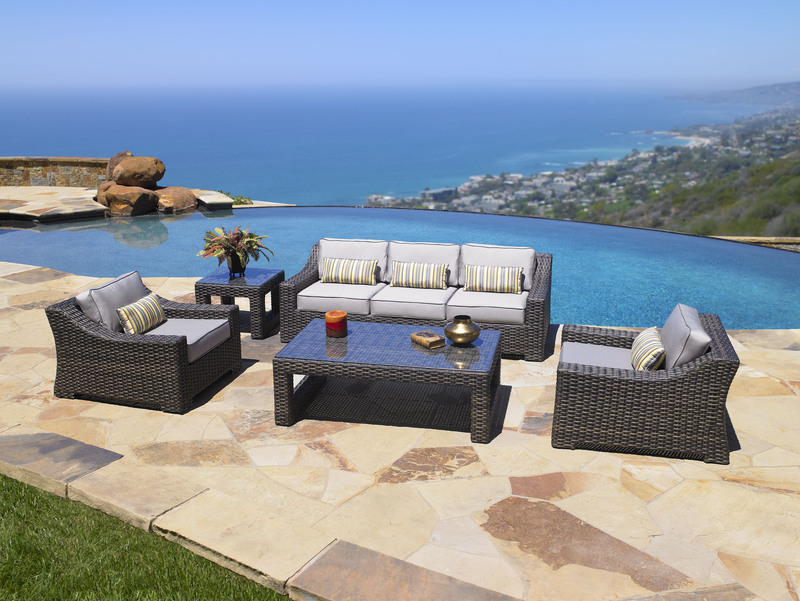 Versatile and sturdy, wicker furniture will bring years of enjoyment to your customers. The Regatta collection, from NorthCape, features a low-slung profile generous scale and luxurious 15mm Driftwood thick weave. Regatta is a full line collection, which includes seating, sectional, dining and chat pieces, and offers distinctive dining pieces with alternative tops, including tough, yet beautiful Durawood tabletop options. The collection features a lightweight, yet sturdy commercial-grade aluminum frame, durable UV protected PE woven resin, and enhanced cushion upgrades including premium fill for superior bounce-back, Sunbrella® fabrics, and virtually indestructible Gore Tenara thread. Patio Renaissance’s durable (and stylish) Monterey Crescent Sofa, shown in Bark finish, with cushions in Sunbrella® Mainstreet Wren fabric, and pillows in Outdura®’s Whitney Timber fabric. 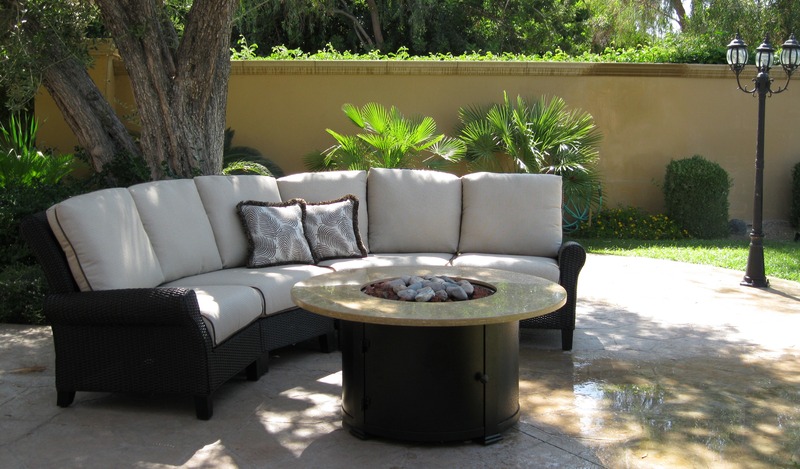 This grouping is accented with Patio Renaissance’s new elegant firepit, with a dark bronze base and Durban solid marble top.